You wonder why drug companies charge so much for the medicine we need to consume in order to live. There is the research, the manufacturing and the endless marketing that drives up the cost up and out of sight. In the past the drug companies kept their marketing activities where it belonged. They sent samples and advertisements to our physicians that are specifically educated to determine when to alter the chemistry we need in order to treat what ails us. Those days are long gone as we are bombarded with drug commercials we can’t buy over the counter. They want us to nag our own doctors to prescribe this crap to us. I’m sure you’ve all noticed that an expensive drug commercial bombarding the airwaves for more than a year morning, noon and night. Then that’s followed up by law firm’s commercials soliciting clients that have been harmed by the same crap no longer being advertised. This seems to happen again and again. We can’t force the drug makers to stop bombarding us with these costly commercials. 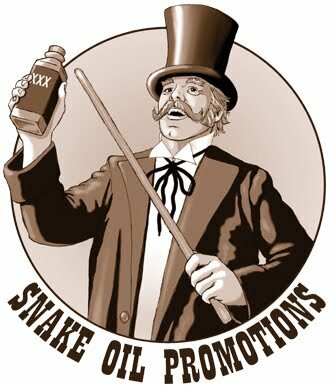 We can however complain to the broadcasters that the snake oil folks are killing us with bad medicine that’s way overpriced. We can tell them medicine choices are the province of the medical community and pushing this snake oil on the general public is morally wrong. Broadcasters have their own troubles finding anyone to buy commercial time these days. I just wonder why they must be part of a snake oil conspiracy killing us.